As a Trade Show Coach and Business Consultant I assist my clients with their trade show marketing requirements. But you cannot do that if you don’t take the time and effort to find out more about the company, or client you are working with and if trade shows are really their best investment. As a Trade Show Coach I do not sell booths, Graphics or tag lines but focus on the areas where more companies fail, the Pre-Show, Show and Post Show follow up. Since only one out of every seven companies that do trade shows are successful, I do what is necessary for you to be that one successful company. Having been on both sides of the booth so to speak as both an Exhibitor then as a Coach/ Consultant my approach to trade show marketing is different than many of the trade show consultants or event planners that I have come in contact with. They all go to great lengths to make the client feel that the only thing that is important is that event, not taking into consideration the company’s overall marketing program and what the company wants to accomplish with their trade show program. As a Trade Show Coach/ Consultant I meet with the management and review the company’s goals and objectives, and discuss what they want to accomplish with their Trade Show Marketing Program, and how that complements their overall marketing program and business plan. The investment that is made in trade shows is substantial taking into consideration the people, time and money. But if a trade show is done correctly, statistics have shown that trade shows are 38% less expensive to do than cold calling and the leads generated at a trade show are industry focused, and better qualified. As a potential client is reviewing my qualifications, I am also asking the client questions and checking their capabilities, and have to meet certain criteria before they can become a client of John A. Hill & Associates, Inc. Many times I have not accepted a company because they had no intention of following my plan for trade Show success or they were not a good candidate for trade shows. It is amazing when I ask the question. “Why do you want to do this trade show?” and the response I get is, “Because my competition is doing this trade show” I tell them. “If that is the only reason you want to do this trade show I think you are wasting your money” A trade show done correctly should generate a number of qualified leads. The key word here is “Qualified”. These are the best leads that you will ever get since the attendees are at this specific trade show and they are there for two reasons to get educated and to do business. Many of the Fortune 1000 companies know the potential of trade shows and continue to increase their investment in Trade Show Marketing. If your Trade Show Program is effective your company can generate sufficient business opportunities at each show to keep your sales force busy closing these leads, rather than cold calling. 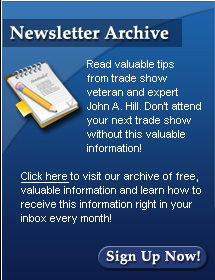 There are different Trade Show Marketing Programs available from John A. Hill & Associates, Inc.
1. EXPO-TRADE SHOW MARKTING SCAN ANALYSIS™- Some companies are pleased with their present Trade Show program but want an objective analysis of their plan, and where there can be some improvement. 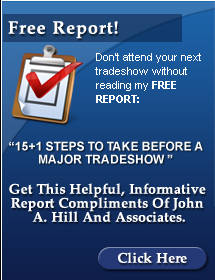 The EXPO-TRADE SHOW MARKETING SCAN ANALYSIS ™ will meet these criteria. 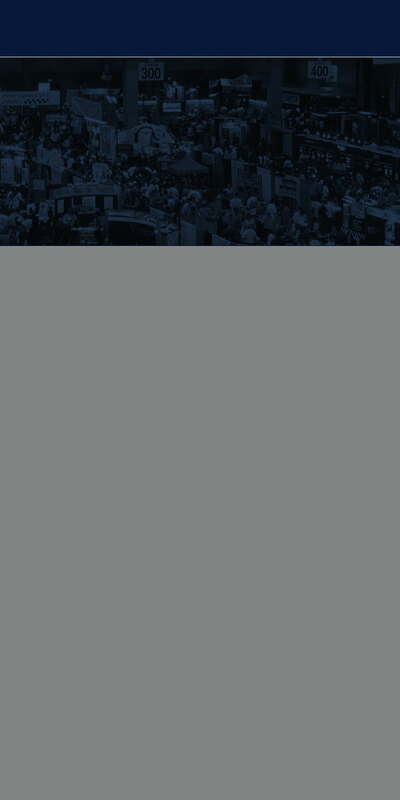 This program was developed by respected industry experts in their specific fields producing a marketing tool that will give a company an in-depth look at their company’s present trade show program. 2. CREATIVE TRADE SHOW MARKETING AND OPERATIONS - Many companies that are growing and putting in place a Trade Show Marketing Program have not invested in a Trade Show Marketing Manager but grab someone from Engineering, Software, Production or Sales to take care of the details involved with exhibiting at a trade show because they believe they are saving money. In the long run it costs them money because they need to be educated in filling out the Exhibitor Trade Show forms and making the necessary arrangements for shipping the booth, equipment, material and hotel reservations. Instead of taking advantage of the discounts available if you pay your fees for space and services a head of time, they wait till the last minute because they think they are saving the company money. Trade Show Research and recommendations and Monthly updates on your Industry Trade Shows are additional capabilities available to my clients. 3. HOW TO PLAN AND PREPARE FOR TRADE SHOW SUCCESS - This program gives the novice or the seasoned trade show professional an intense educational training program that will give them the know how to do any trade show with confidence and focus, know that you have John A. Hill and Associates, Inc available to you for a year after you complete the program. 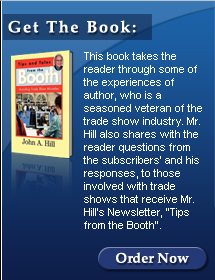 With your workbook, Subscription to my Newsletter “Tips From the Booth, copy of my book “Tips and Tales from the Booth-Avoiding Trade Show Mistakes”, the latest list of Trade Show Web sites, and a year of support via e-mail. It will make any interested person a qualified Trade Show Marketer. 4. EXHIBIT ORIENTATION & REVIEW - At every trade show the company personnel who have the responsibility to stand booth duty should be trained. The best time to train the booth personnel is right at the trade show. It makes them aware of the importance of the trade show, and their responsibilities as being the representative of the company. Poor booth representation makes for poor trade show booth activity, therefore not meeting the goals and objectives established by the company for this specific trade show. I am confident this will give you a better understanding of what John A. Hill & Associates, Inc. can do for your organization. you have always known you could be." Ask any questions you want about trade shows. You get to pick the brains of Trade Show Expert John Hill, a man with over 37 years of business experience from both sides of the booth. create a fortune for you as well. Call today to schedule your telephone POWER SESSION!